In November, Americans will cast their votes in the US presidential election. In the past, journalists, pollsters and pundits not only explained public opinion to us – they also shaped those opinions through mass media. That’s no longer the case. As more public conversations shift online to social media and other digital platforms, digital fora play a more prominent role in moulding public opinion. The good news is that advances in data science and artificial intelligence now allow for millions of the election-related opinions that are posted online each day to be classified automatically and analysed to understand the pulse of an increasingly digital electorate. The bad news is that most newsrooms around the world are under financial strain and do not have the capital to invest in data science and artificial intelligence capacities. Even for the handful that are investing in data capabilities, none of them by themselves have the resources to compete for top talent with tech giants such as Google, Facebook, Amazon and Baidu. The Electome, a project of The Laboratory of Social Machines at MIT Media Lab, could address this gap. 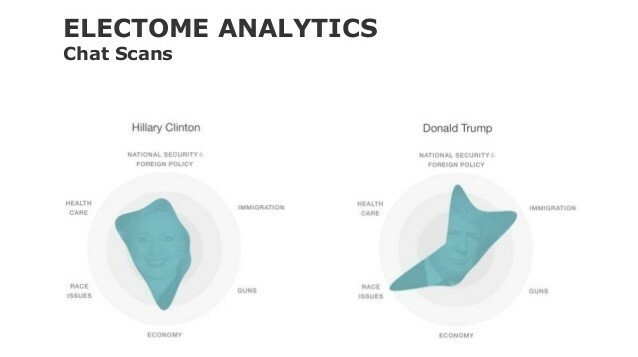 Partnering with the Knight Foundation, Twitter, the Washington Post, CNN Politics, Bloomberg News, Fusion and other organizations, Electome provides real-time analytics on public opinion related to the US presidential election. What exactly is Electome? In simple terms, it is the first version of a machine that will help us understand elections. 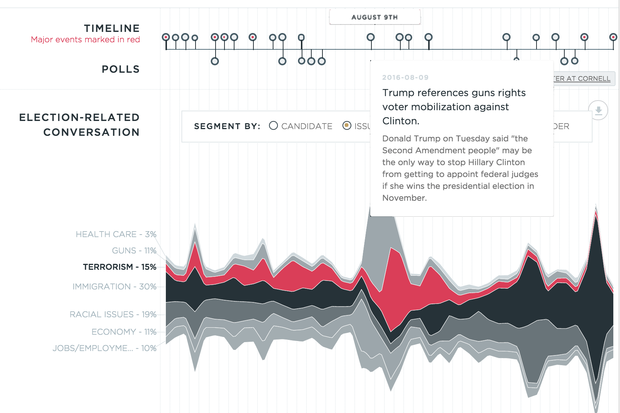 This machine ingests public conversations across traditional media, social media and digital platforms, especially focusing on the public conversation on Twitter, which is playing a key role in this election. Electome will also improve our ability to model what will happen. In the sense that it is informed by society and helps inform society, it is a social machine – a machine that creates a better world through social-machine collaboration. Data access to Electome has been provided to hundreds of journalists, and an array of articles are being published. The data is also being used by the Commission on Presidential Debates to brief each moderator of the US presidential debates and inform debate questions. If we want to have informed voters, we need to invest in public understanding of what matters to other voters and how the debate is being shaped. As conversations shift online, if we want every voter’s voice to be heard, we need to make the digital public sphere visible to everyone. We live in turbulent times. Elections are pivotal in shaping that world – for better or for worse. We need to be investing in a public good, powered by advances in data science and AI, to help understand elections. The first version of a machine to help us do this has been built. We look forward to upgrading it to the second version with everyone who cares about the state of democracy in our world today.